Shopping for a new larder fridge in Littlehampton or a fridge-freezer in Rustington is simpler than you think. Visit Carters Domestic Appliances in Worthing and choose from a huge range of models from leading manufactures like Beko, Hotpoint, and Zanussi on display, there is something to suit everyone’s taste and budget. Carters price-match policy will give you the most competitive deal, on-line and on the high streets of East and West Sussex. So if you see what you have in mind cheaper elsewhere, let us know and, where possible, we’ll match the price of the appliance like for like. A dishwasher is becoming an essential part of many kitchens in Worthing. There is so much choice! Why not select a slimlne 45cm wide model if you are short on space? The standard 60cm washing machine size dishwasher however is the more favoured model. At Carters we stock most well known makes on the UK market and can source most others if not immediately available at our Storrington warehouse. Many dishwashers now use less than 10 litres of water each wash which is great for the environment and good for your water bills! Noise levels have also sharply decreased so ensure you check the details on our website before selecting the right model for you. Choose from a range of colours and features in steam irons from Russel Hobbs, Bosch and Morphy Richards at Carters. Tefal's 'anti-drip', self-cleaning, and anti-scale functions help to extend the life of the iron, and when you finally see the bottom of the ironing basket, 'auto off' will take care of switching the iron off, lest you forget. For larger ironing tasks, Miele offers the variable speed 85cm rotary ironer. From shirts to sheets, flat-bed ironing finishes your laundry chores to perfection. Family-sized washing machines with a 9kg load from Miele, and low decibel level spin dryers from LG, are just part of the great choice of white goods in Worthing from Carters, available for free 24hr delivery to BN, RH or GU postcodes if you spend over £150. The pale blue Smeg will add a touch of the vintage to laundry days in Littlehampton; or a budget friendly Beko model, designed to make your life easier as the second largest brand in Western Europe, may be just what you’re looking for in Lancing. What are the latest style and technological advances in washing and drying machines? Domestic appliances for laundry care benefit from a raft of technological and design features which go a long way towards helping you to save money on running costs, scheduled maintenance and unforeseeable breakdowns. You can choose an integrated washing machine or tumbler dryer to streamline the overall look of your kitchen; or, if space is tight, use a stacking kit to secure a dryer on top of a washing machine to maximise floor space. Alternatively, consider a washer-dryer from Hoover and use ‘quick-time’ to get your washing and drying done in under an hour, giving you just one machine to look after and more time for less mundane activities. Energy ratings of A+++ 40%, and a five-year warranty deliver economical and powerful laundry care from Miele - kind to your wallet and, with a honeycomb drum, kind to your most delicate clothes. Our Worthing store, which also serves Littlehampton and Rustington, is a great place to visit when looking for a Built In Oven. We stock all types normally sited within a wall unit but including the 70cm Double models designed to be installed under the counter. 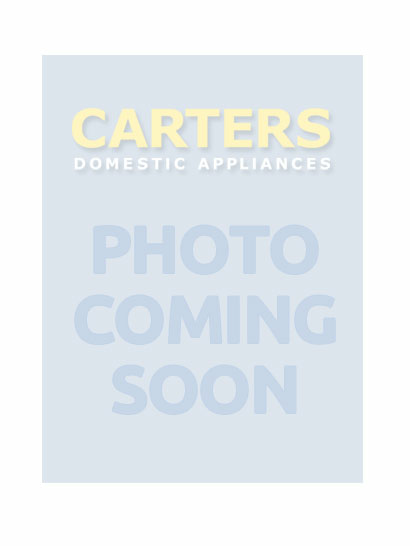 Our website www.cartersdirect.co.uk is designed to assist our customers finding the best gas or electric cooker for their needs through the use of a product filter system. Our staff at Worthing can offer advice and assistance based on what features are important. So whether a Neff electric oven with catalytic liners in Durrington is required or a Miele Discovery Pyrolytic oven in Lancing is the best answer we have the right cooker for you! Take the stress out of cleaning hard floors and carpets by choosing the right cleaner for the job. For everyday flat-to-floor cleaning, what’s not to like about the SEBO ECO with automatic powered height adjustment and 10m of cable? Bagless upright hoovers from Dyson, with Cinetic Big Ball technology, take care of picking up animal hairs trapped in carpets in Tarring with minimum effort and without loss of suction. Amongst the range of cleaning equipment available from Carters in Worthing, are cordless handheld and stick-type vacuum cleaners, as well as the more traditional, lightweight sweepers such as the popular Bissel 800 watt bagless model designed for ease of use and smaller cleaning tasks. The George numatic cleaner is the ‘all-in-one’ vac offering five dry or wet cleaning options, and will make light work of up to 27m of hard floors, carpets and upholstery in East Preston or Littlehampton. Also available from our Teville Road store in Worthing, not far from the town's main train station, is our range of smaller electrical goods offering home essentials such as kettles, razors and radios, precision kitchen and bathroom scales, telephones, and toothbrushes.